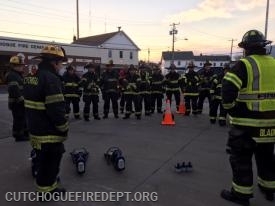 On Thursday night, 25 of Cutchogue's Bravest once again traveled to the Suffolk County Fire Academy Yaphank for live fire training. The firefighters participated in the "Taxpayer" drill. 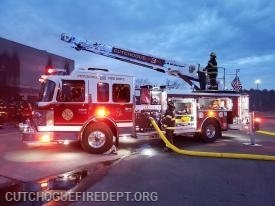 Tuesday April 16th was the Cutchogue Fire Department's monthly in-house training night. The topic of this month's training was vehicle extrication. Volunteers took part in the training that included a mock vehicle accident scenario involving both Firefighters and EMT's. 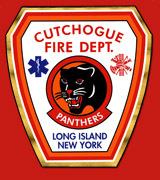 On Wednesday Night April 10th CFD Firefighters were dispatched to a Signal 13 "Smoke in a residence " on Cox lane in Cutchogue. 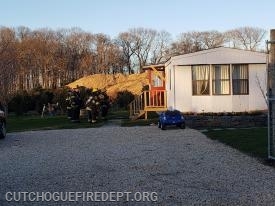 Firefighters arrived to find a smell of smoke in a mobile home, coming from an unknown source. After controlling the utilities, firefighters were able to trace the source of the smoke to an electrical issue related to one of the household appliances. At Thursday's regular company meeting of the United Fire Company No.1, special guests representing the NYS Fire District Officers Association were on hand to recognize one of our members that had reached 50 years of active service. At the beginning of the meeting, Commisioner Sandy Friemann was recognized and was presented with a of a plaque from the Districts Association to celebrate this milestone. 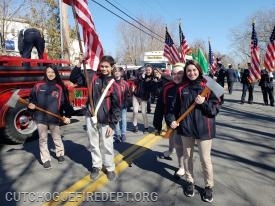 Recently Newsday produced and article highlighting Junior Firefighter and Explorer programs on Long Island. 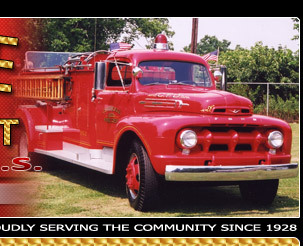 The Cutchogue Fire Department is proud of our Junior Program that was established in 1991. 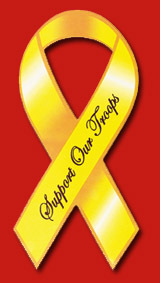 This program is open to interested youth of community between the ages of 11 and 17.